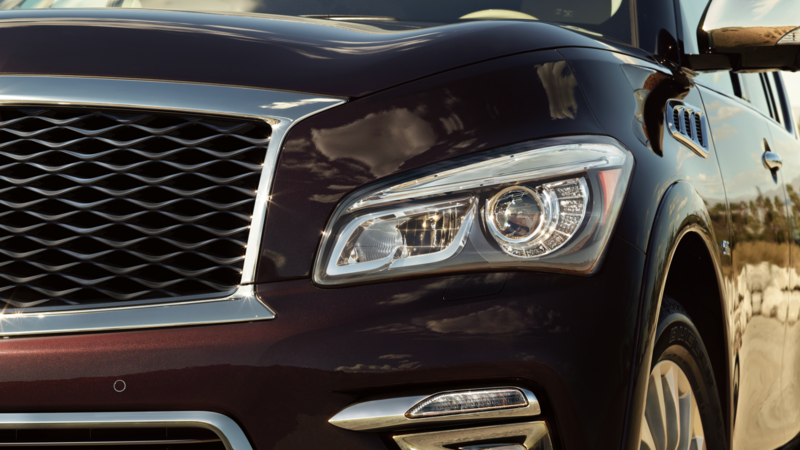 Make a bold, unforgettable statement. 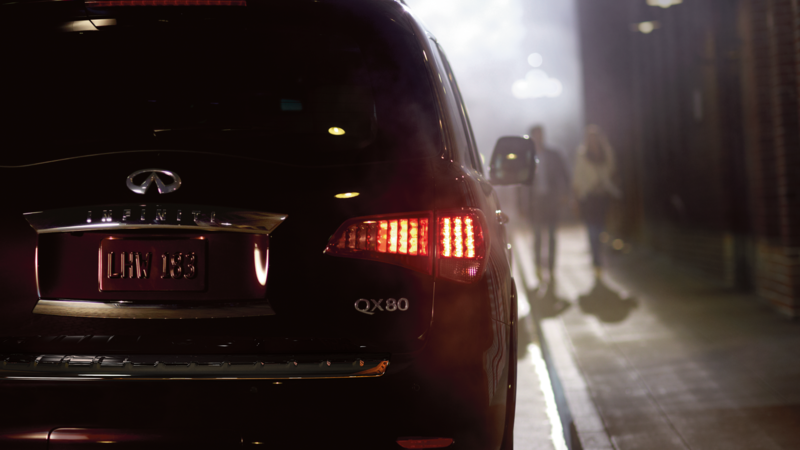 This is your invitation to seek out the audacious. 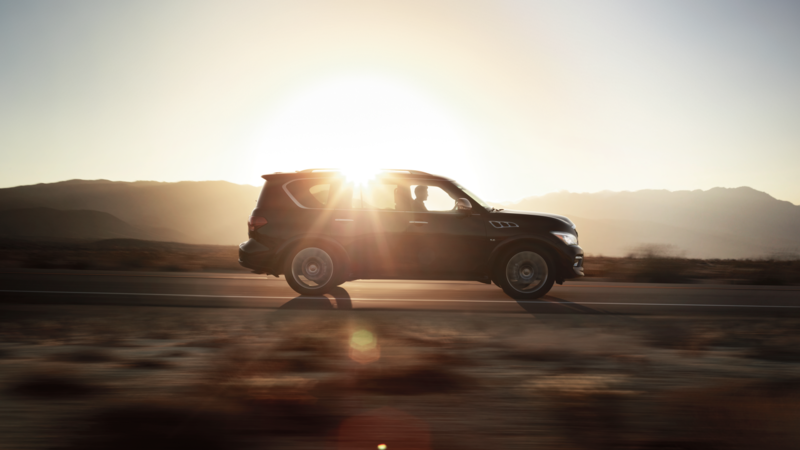 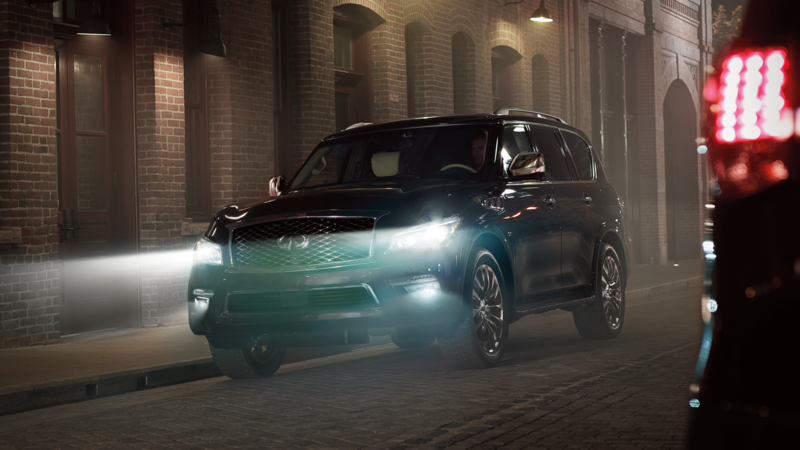 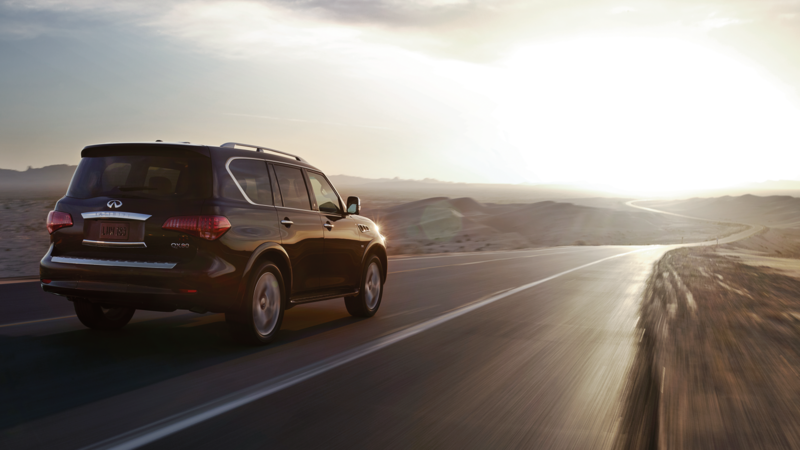 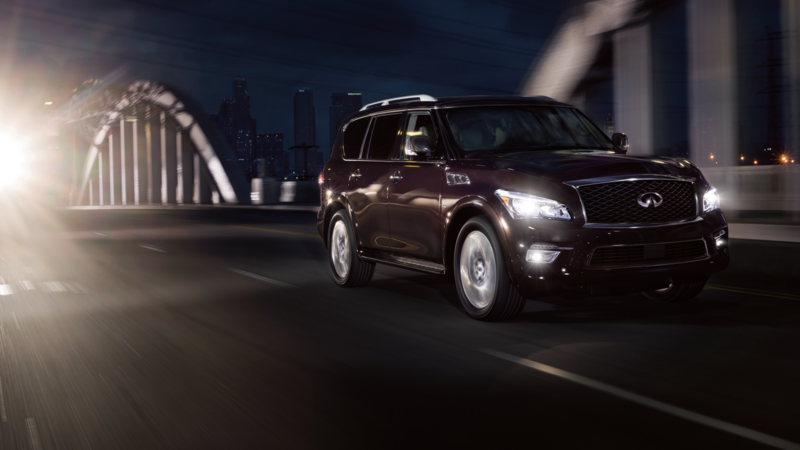 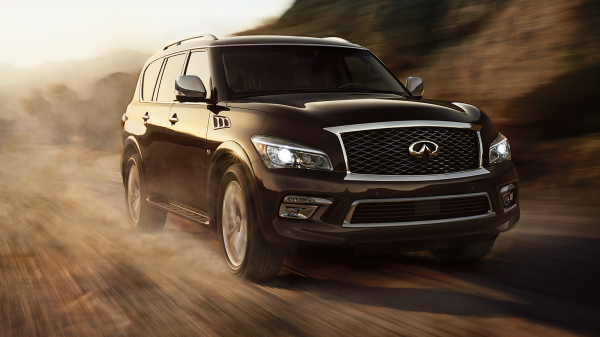 Undeniably Infiniti—the Infiniti QX80 LED headlights turn as you steer to shed light around the curves ahead. 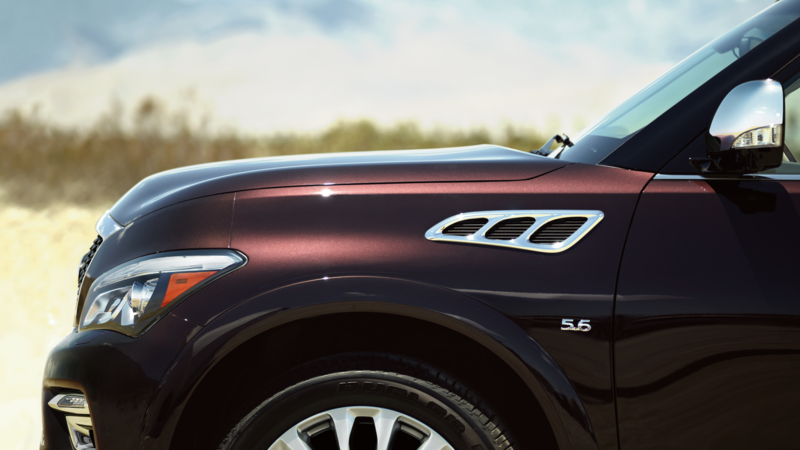 Style and function. 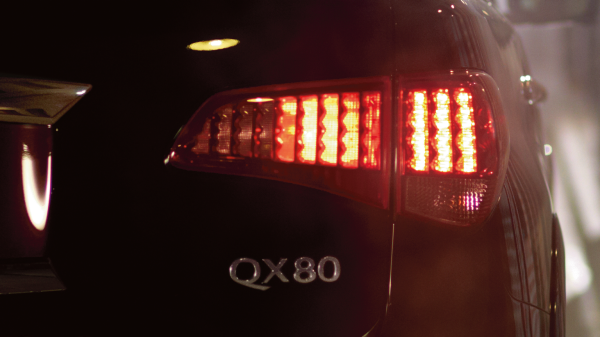 The instant glow of the LED tail lights are more than distinct, they illuminate brighter and faster than conventional bulbs when you brake to warn those that follow. 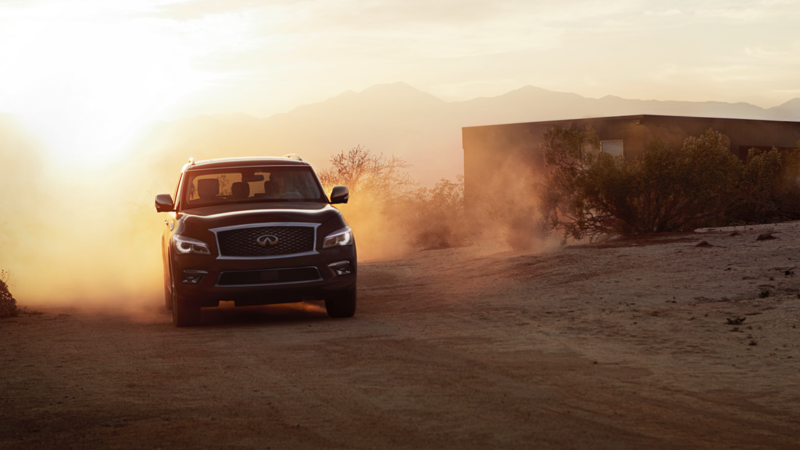 When you indulge in grand ideas and create memorable moments, you add dimension to a space and to those who share it. 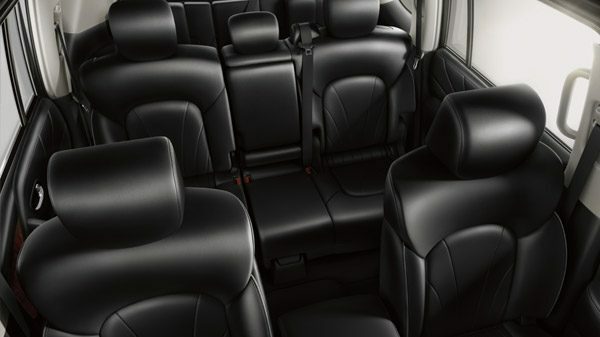 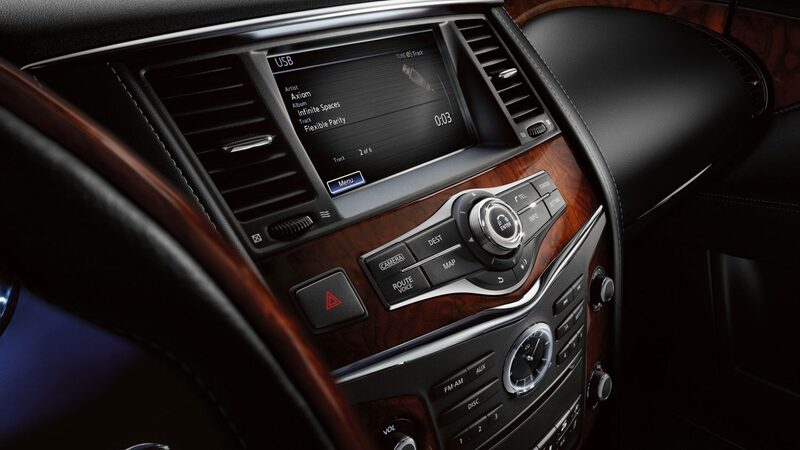 The QX80's expansive interior adapts to you. 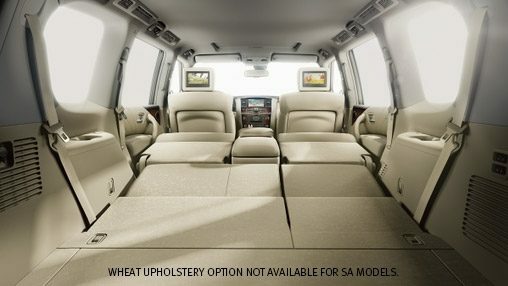 Arrange the 60/40 split-folding third row and available fold-down second-row bench seats to accommodate up to 8 passengers, or fold them all down for 95.1 cu-ft of cargo room. 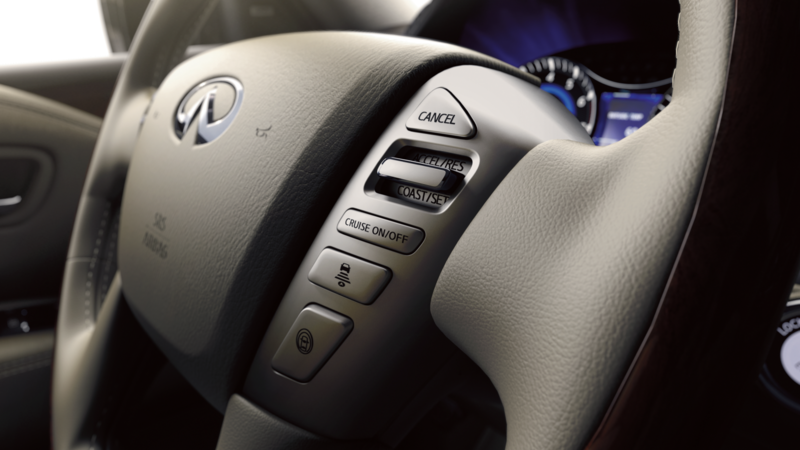 Where the dash meets the door or the center console, they are assembled not to be mathematically perfect, but to look perfect. 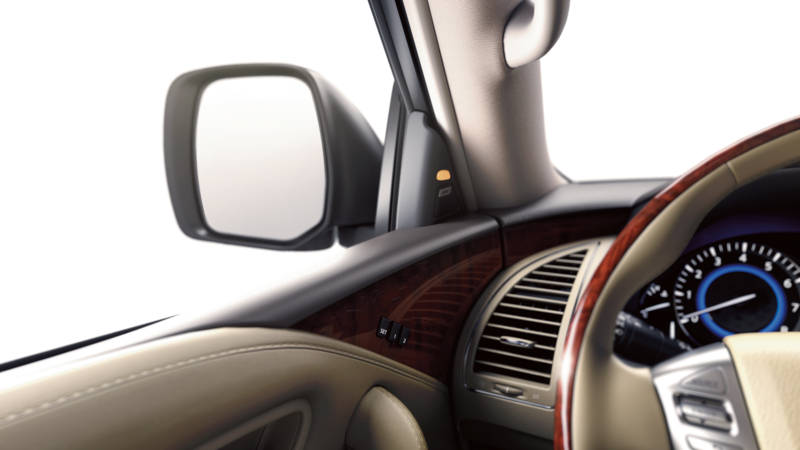 An exacting process tightens the alignment to achieve a seamless design from the driver’s point of view. 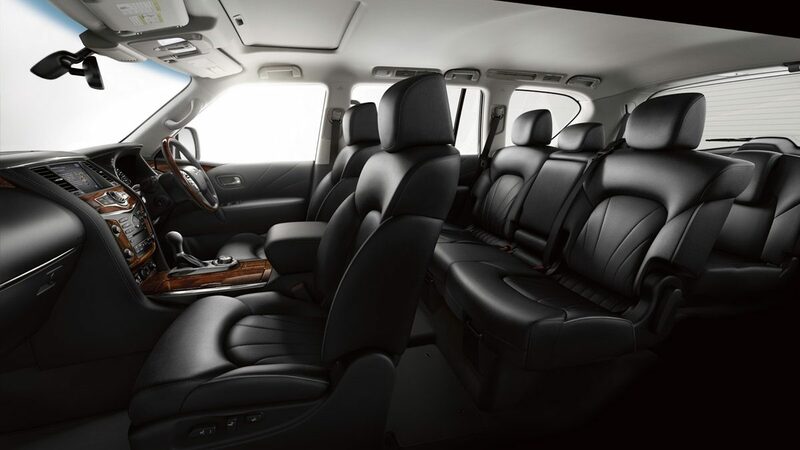 Heated first-row seats offer an available cooling climate, while second-row passengers relax in captain’s chairs with class-leading legroom or available bench seating that accommodates up to 8.